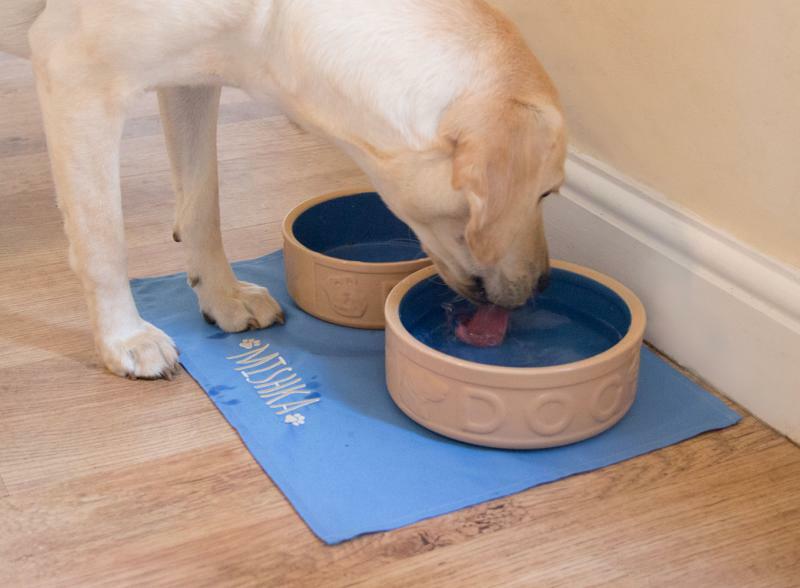 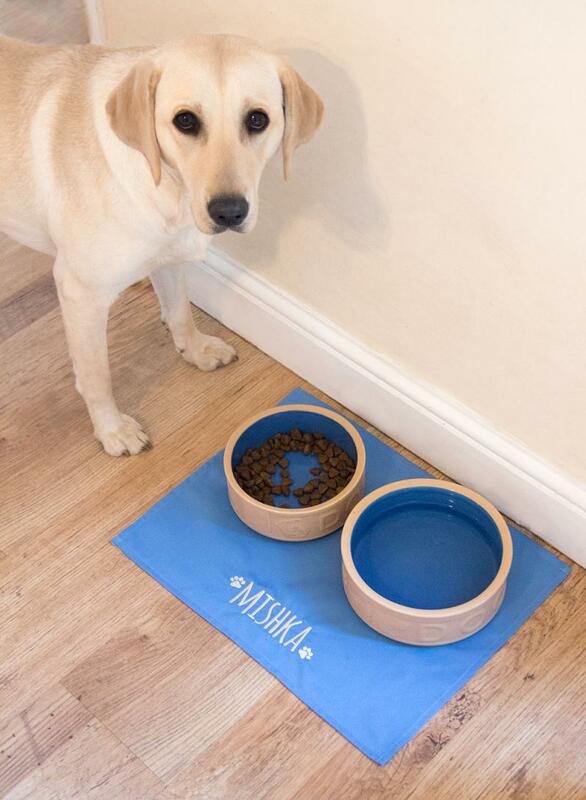 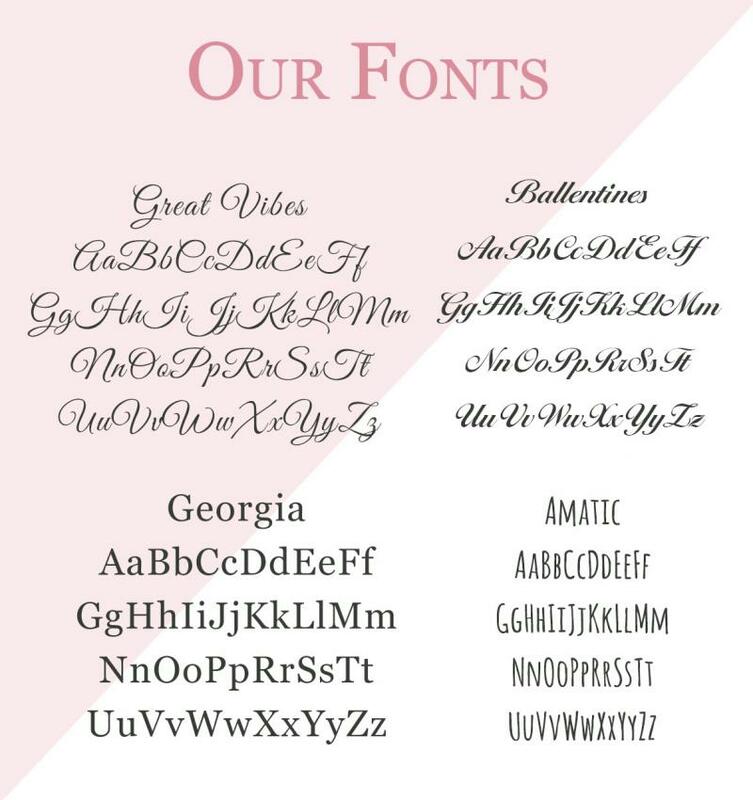 Our personalised dog food placemat is perfect to keep all the spilages away from the wooden floors and carpets. 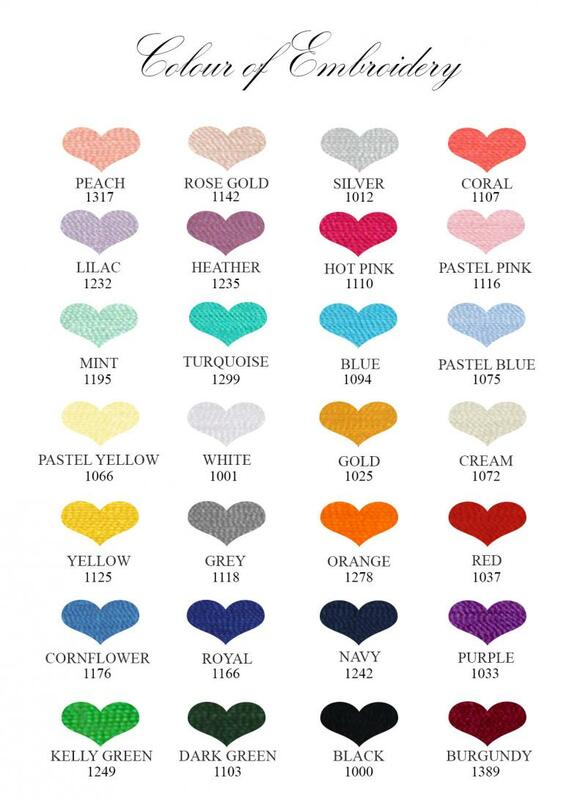 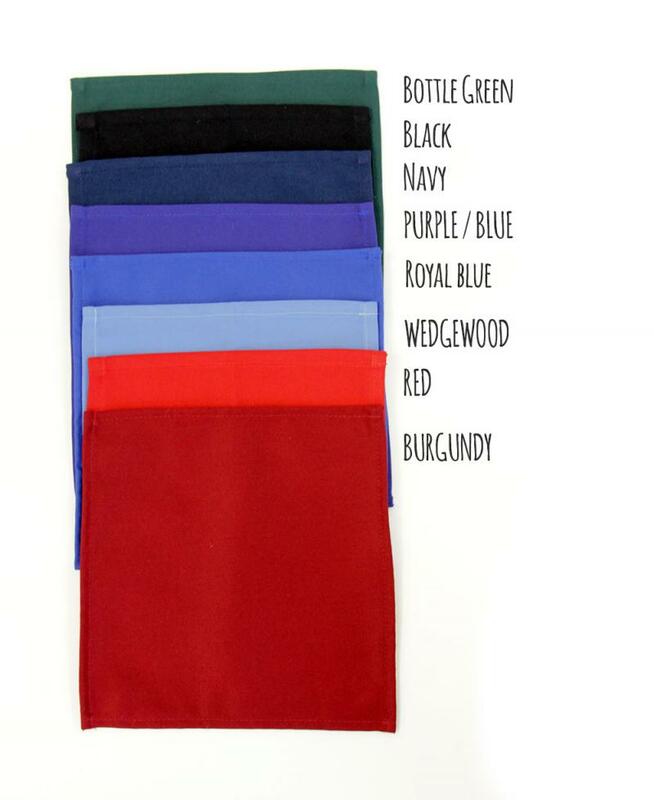 Our special material is air dried, easy - care, washes nicely on 40°C, doesn't need ironing and feels soft as the cotton. 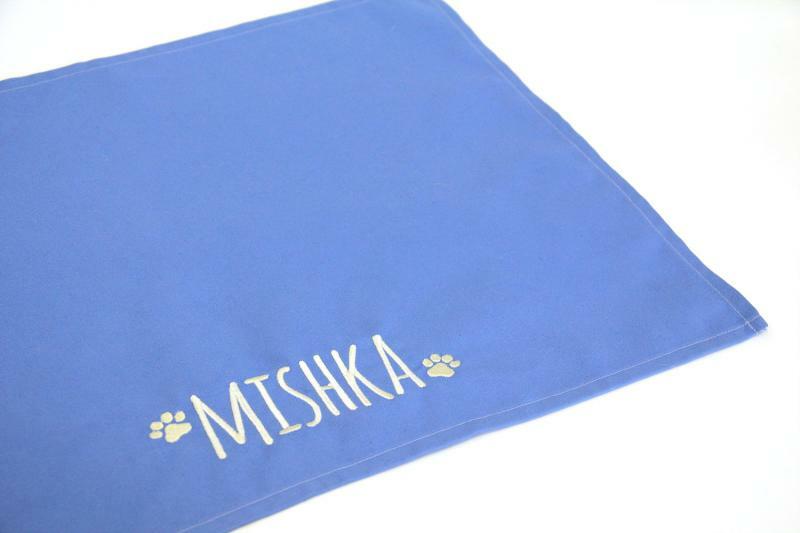 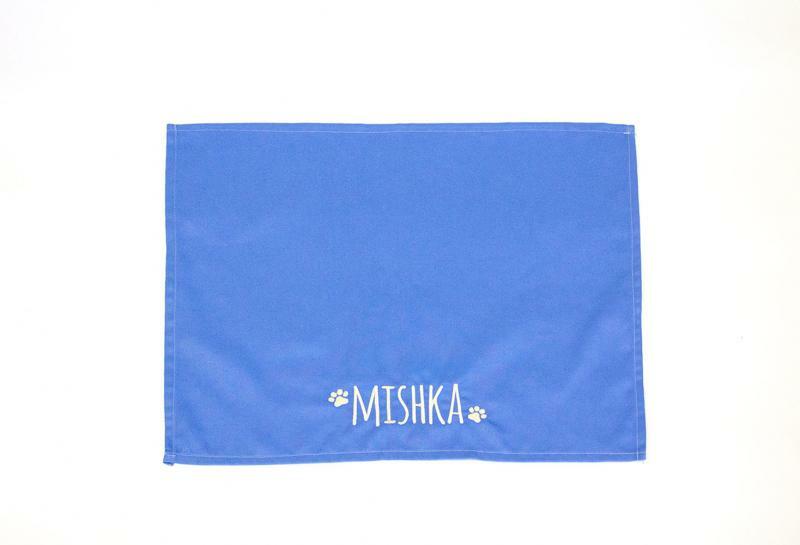 Each feeding mat can be personalised with your dog's name in arrays of embroidered colours.